Being a quality-centralized firm, we have hired a group of quality auditors who work in adherence with the defined norms and deliver the best products to the clients. We are here to guide our clients through the secure payment procedures. With us, the customers get convenience to pay through both online and offline payment methods. 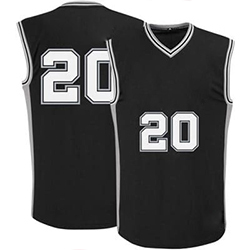 WB-1501 Basketball Jersey has a soft fabric lining with a regular fit design and high durability.